One of the most easily recognizable (and controversial) Cyborgs in Hollywood history, Robocop is a technological marvel; everything but his face, cerebrum, and cerebellum has been replaced with a firefight-ready body, complete with state-of-the-art armor and a hip-stored 9mm cannon. 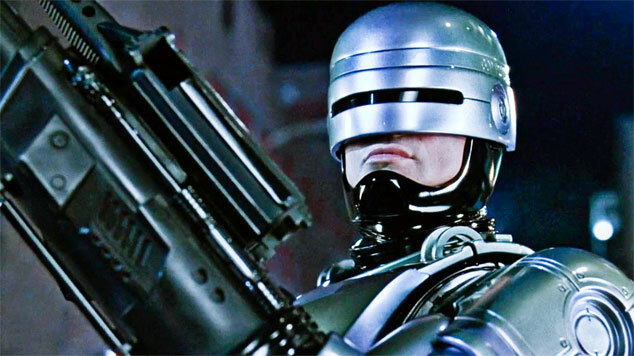 The original 1987 Robocop has catapulted into cult-classic territory. Officer James Murphy – the rebuilt (and revamped) hero inside the legendary suit – delivers fantastic deadpan one-liners while blowing away waves of helpless bad guys. In short, it’s fantastic. While these officers aren’t getting cybernetic enhancements, they are getting pretty sweet loadouts for the 2016 Olympic Games in Rio.